I went out tonight to take a set of pictures of this year’s Christmas lights, then start unplugging them and pulling in the long extension cords before this series of storms hit. Once more, standing in the street to get the shot. I liked the look of this much shorter exposure. Remember as a kid, covering a paper in all kinds of crayons colors, then covering over that with a layer of black crayon, then scratching away at the top layer to get a line drawing made of the rainbow colors underneath? The obligatory annual picture with Orion high above. 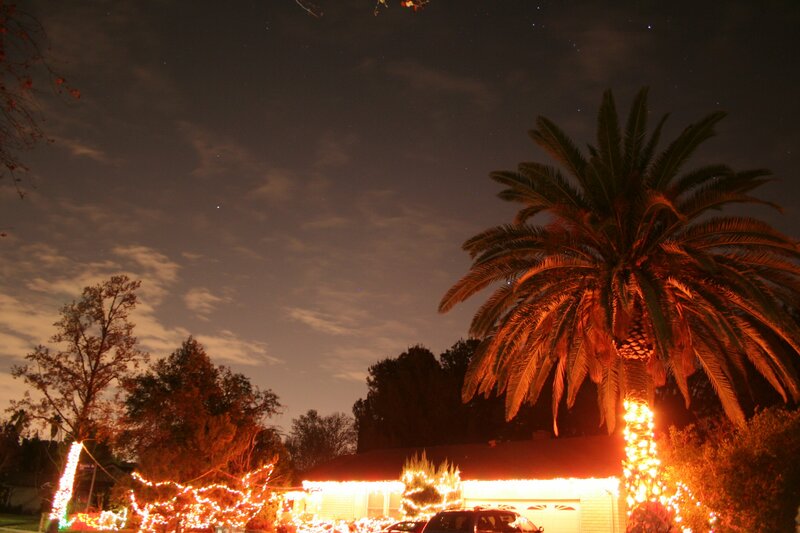 You can just see the two left stars of the “belt” and bright blue Rigel at the top of the frame above the palm tree on the right. It was a year when we only put up a bit more than half the lights we normally had in the past. There were spots such as these trees that would normally have had four or five stings of lights in them, but had only two. Where normally there would be lights all the way up to the top, this year they were only where I could easily reach on a short ladder. 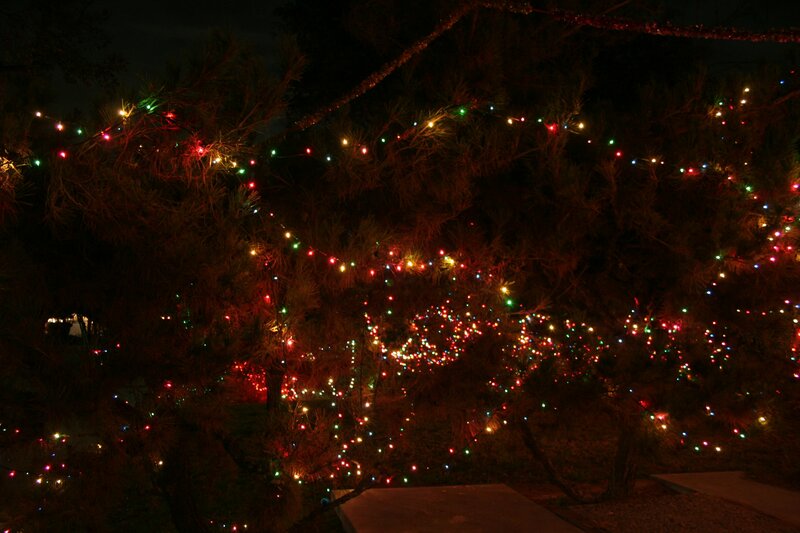 The bush with the white lights on the right normally had four or five strings of white lights – this year it had two. The birch tree normally has several strings of icicles and stars – this year it had none. 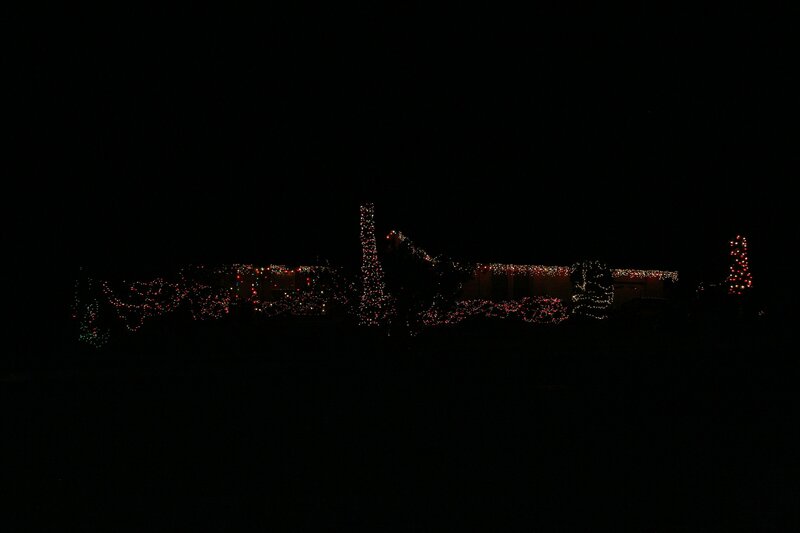 There were bushes where there were no lights at all. 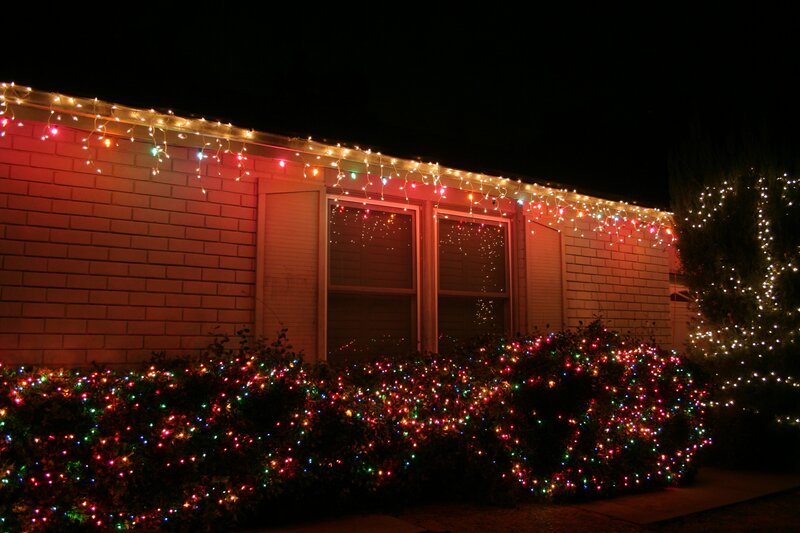 Now mind you, we still had more lights than anyone else on the block. 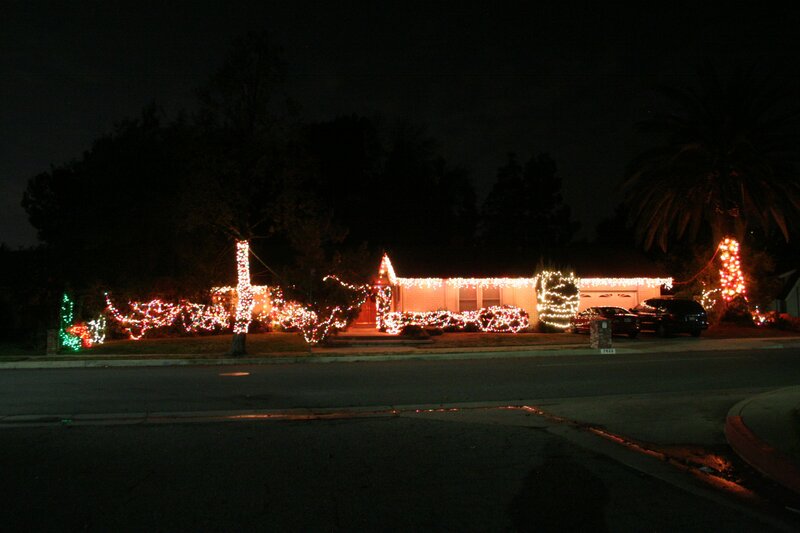 But we normally have more lights than everyone else on the block combined. It’s all relative. This was an off year for us. As I was pulling the timers and cables, it occurred to me that these might be the very last Christmas lights here for us. If all goes according to plan, we’ll be living elsewhere before next Christmas. I guess we’ll get to get one last hurrah in the “worst case” scenario for selling the house. I’ve always thought that the house would sell better when lit up for Christmas. If we aren’t out this summer or early fall, maybe we’ll be trying to sell it when Thanksgiving rolls around next year and the lights go up again. You must have had a whopping electricity bill!